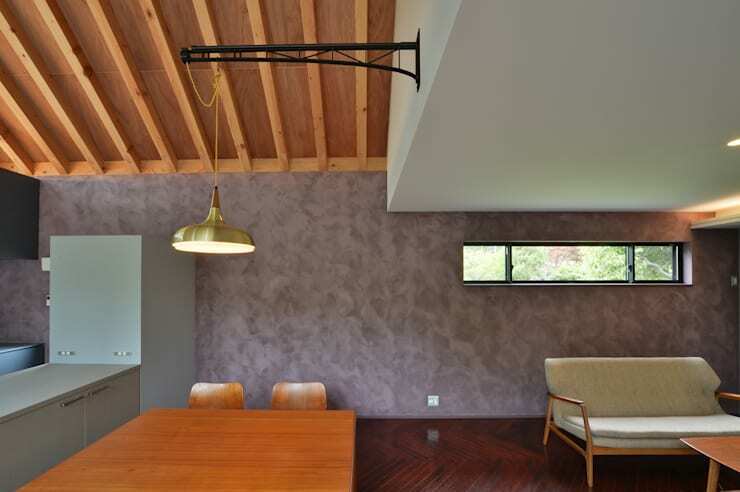 This minimalist and modern home has all the makings of a spectacular living space, from the geometric design, high ceilings and exposed wooden beams to the use of concrete and quality ceramics in the décor. The home is a modern take on an old fashion farm style and is filled with elegance, modest style and functionality. Not forgetting how aesthetically pleasing and eye catching it would be from all angles. 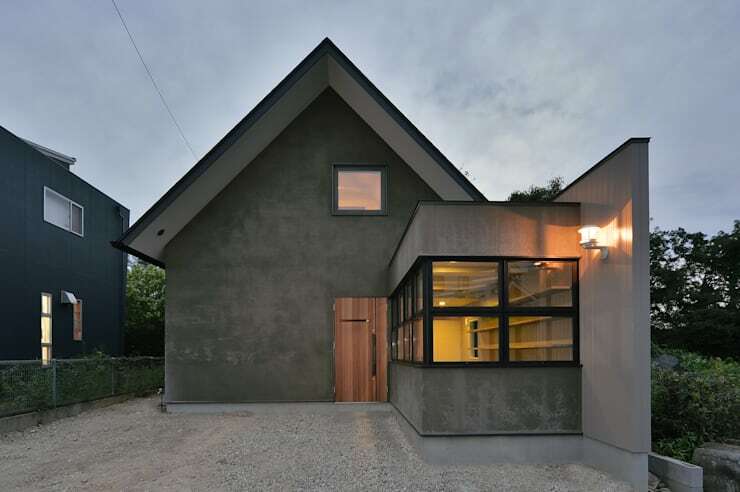 This attractive façade is a perfect example of modern style and sophistication. The undeniable angular design of the exterior is daring and different, with the architects definitely taking a serious and contemporary exterior design into consideration. The solid front door and large window has an inviting effect, while the well-proportioned building although simple in exterior décor makes for an interesting home for a young, modern family. 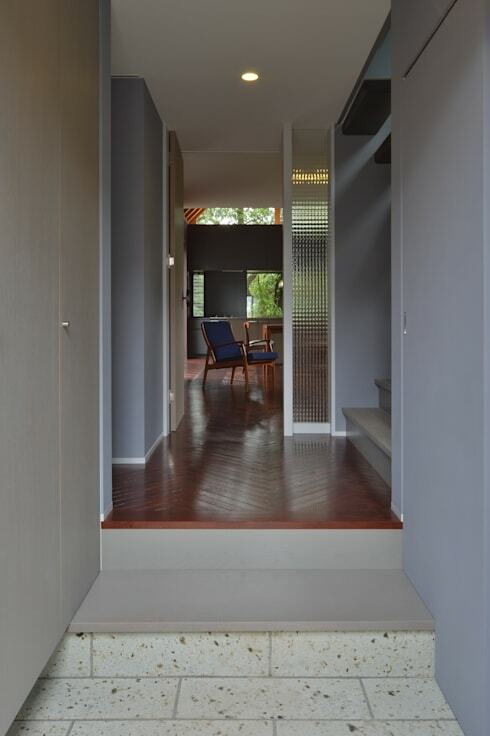 This small hallway gives us a glimpse into the rest of the home, the pastel walls and dark wood parquet flooring are cosy and inviting, while the glass doors create a private and tranquil interior atmosphere. The décor is simple and minimalist with very few extra features. This dining room is one of the most attractive spaces in this chic and sleek modern home. It is not uncommon that contemporary homes are often open plan with a kitchen, living room and dining area combined into one space. 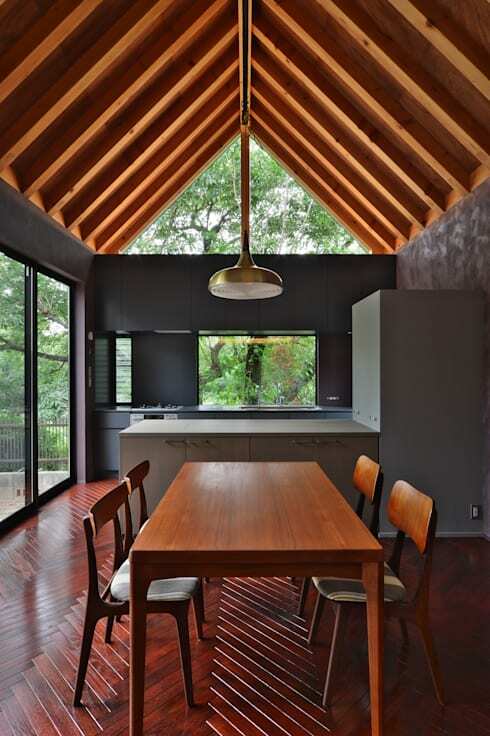 However, this fantastic wooden dining table along with the gabled roof décor is sensational and eye-catching in every way. The rich tones of the wood along with the outstanding amount of natural light creates a comfortable yet delectable dining area. The décor of this area is a combination of industrial style and cosy living, the wall resembles polished concrete décor, while the wooden parquet flooring creates the perfect comfortable space that is welcoming and stylish. The lighter wooden tones of the table, chairs and sofa creates the perfect contrast in this living space, while the suspended wrought iron light fills the room with illumination and sophisticated style. 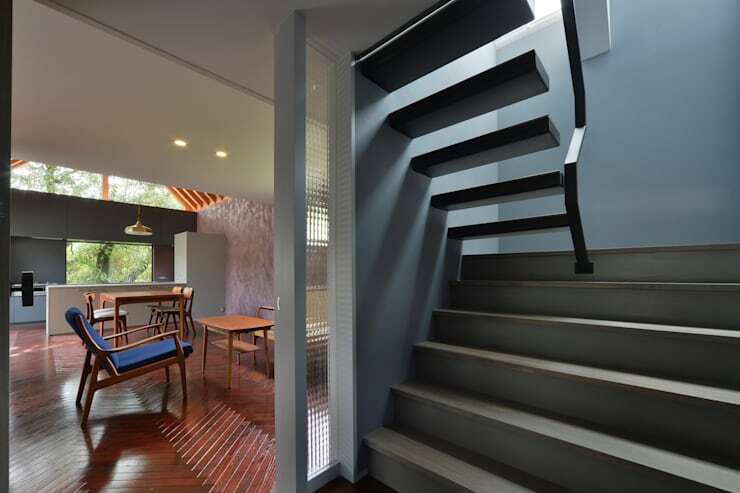 The stairs of this fantastic home are striking and elegant, with an angular design that is fit for this modern décor. 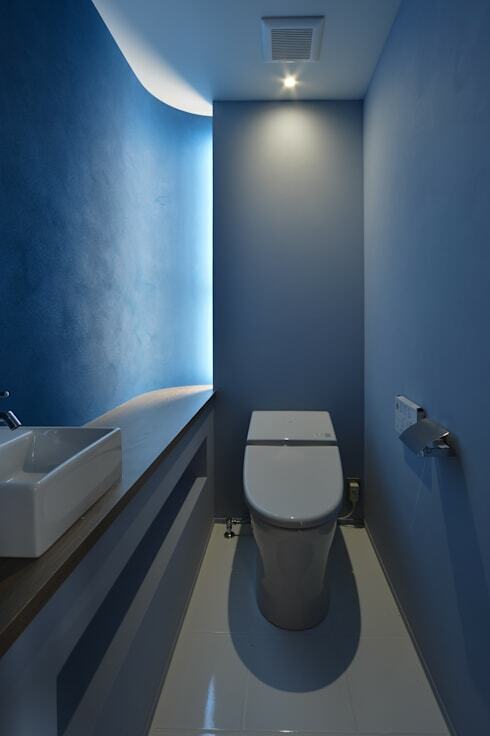 The stairwell is sleek with an almost industrial design, a feature that is enhanced by the blue walls and cutting edge illumination. The stairway definitely adds an interesting design aspect to this contemporary styled home. We complete our homify 360 tour of this beautiful house with a look at the designer bathroom. The high ceilings, striking yet simple illumination and vibrant walls along with vivid patterns and modern fixtures and fittings make this bathroom the perfect feature for a home with so much style. The bathroom has a romantic and chic design aspect too, making it a great addition to this gorgeous gabled house. A Classic, Contemporary Home From Your Dreams is a fantastic feature too. Which room of this gorgeous home has inspired you?